This entry was posted on Wednesday, July 25th, 2012 at 08:15 and is filed under Conservatism, Defense, Featured, Gun Rights, News, Politics. Our founders had the wisdom to recognize that rights are a fact of man’s nature. They held that rights come from a Divine Creator, and that these rights cannot be nullified by governments. They fought a bloody revolution to sustain their noble argument, but they also assumed there would be those who would claim to know the mind of Divine authority, and inasmuch as they knew this, they sought even to place rights outside the realm of religion, lest another would-be king decide he spoke with Divine endorsement, or some ruler might arise who held no respect for the Divine. Knowing this, the founders laid the basis for our constitutional, representative republic on the foundation of an underlying philosophy that had no need of a claim to the Divine, though they claimed it nonetheless. These opening line in the Declaration of Independence set the stage for all that is to follow. Here, the founders introduced many to the formalized concept of Natural Law. Here, they laid the basis of our rights, and they pointed to the “…Laws of Nature, and of Nature’s God…” as the source. Think about what they directly implied with this choice of terminology. Whether or not you accept the existence of a Creator, the Laws of Nature dictate that mankind has rights that are a precondition of his existence. They endorsed God as the author of Nature, but irrespective of whether you share that view, they were laying down a clear marker: These rights exist, as a fact of Nature. They held these truths to be “self-evident” because every person is able to clearly discern the great natural law of cause and effect, action and reaction, and because every person can plainly see the necessary logic of the matter. Notice what government’s proper role is to be: “To secure these right…” There is no rationalization for the basis of government to create these rights, or even to endorse these rights, but merely to secure them. This is because the government cannot create what pre-exists government, and whether its agents endorse these rights, they must nevertheless secure them. This was intended to show not only the failures of the King against whom their revolt had been levied, but also against tyrants who might rise in some remote future. They made plain that if a government becomes destructive of these liberties, it is the “right of the people to alter or abolish it,” and this is the statement of their motive and cause in having declared their independence. For those who will refute statists of the left by saying that rights are a gift from God, they find that they are immediately subject to the retort: “God? What God?” This has been the left’s basic approach to this argument for generations, and over time, it explains their desire to secularize our culture. After all, if some larger portion of the people come to believe there is no God, so much easier will it be to disclaim the entire matter of rights. Our founders were brilliant men, and they were ready for this argument, so the opening lines of the Declaration of Independence were designed to clarify the matter for all times. Who can dispute that the laws of nature exist, and that they are immutable? We have no capacity to amend the Laws of Nature, and if Nature is the source of our rights as people, then no man can abolish them. They affirmed and endorsed in full the belief that a Divine Creator was the author of Nature, and therefore its law, but their construction was intended to make the argument over the existence of God irrelevant to the matter of the existence of rights. These were brilliant men, so they understood fully what sort of monstrous concepts would be used to attack their declaration, and all to which it would give rise. They were also offering an invitation of sorts: You needn’t have accepted their particular belief in God to be the beneficiary of these rights. The Laws of Nature are universal irrespective of one’s religious beliefs. They also recognized that a time might arise when a government might become so large and powerful as to prohibit the peaceful measures to alter or abolish it, and in such cases, they would ultimately write down yet another measure that would become our second amendment, providing a protection for the natural right of man to defend his life, liberty and property. This is the right we find under assault even now, as in the wake of the fiendish shooting in Aurora Colorado, no shortage of would-be tyrants have risen to decry the right to keep and bear arms. We must never, under any circumstance, and by any diversion or claim of exigency yield any more ground on these rights. We have already given far too much ground, always in the name of a civil society, and yet with each step in the limitation of gun rights, our culture becomes more stricken with violence, and less safe for every person. Our founders understood that just as every government is made up of men, and as every man possesses a vast capacity for evil, every other person must maintain the ability, both in fact and in law, to defend against any device or practice of man, be they individuals, hordes, or governments. They viewed this through the lens of Natural Law, in the same way they viewed all other laws given rise through the clear example of nature. You might make a law that prohibits in words the act of a lion to defend itself. Your law might demand in reckless disregard of the facts that a lion ought to lie down and surrender upon the approach of any man, and were he to resist the man, to restrain himself from making use of his fangs,claws, and superior dexterity. Assuming there could be a lion who could understand such a dictum, what would any suppose might be the reaction of the lion to such a farcical notion? Who suspects a lion would comply? None would make such a fanciful law, because no lion would understand it, but more, none could be expected to comply in any way with it. That is the nature of a lion, and this self-evident truth is all one needs to understand the basic premise underlying the entire construct of natural law, upon which our founders relied in the formulation of our Declaration of Independence, but also in their laying down of our guaranteed liberties in the Bill of Rights. Some will believe that such laws are not made merely because the lion cannot understand them, and therefore could not be expected to comply. The simpler truth is that a lion must not be expected to act contrary to his own nature. What John Locke explained, being perhaps the greatest enlightened political philosopher upon whom our founders had relied, is that no law ought to be erected that supposes man can be compelled to live contrary to his nature as man. Here is the evidence of Locke’s influence on the founders, and it is once again exhibited within this statement, that while Locke believed firmly in a Divine Creator, he nevertheless points out that God is the source of the Law of Nature. Were you to reject even the belief in God, you may not pretend that nature has no laws. You can credit the Law of Nature to anything you like, but what Locke made plain is that the Laws of Nature are not to be ignored or suspended, and that in fact, no law erected against the Laws of Nature can stand as valid. Man’s greatest natural gift is not a claw or a fang, or the dexterity to employ them, but an agile mind, able to remember, and to correlate, and to associate cause with effect; to understand the relationship between action and reaction. Man furthers his life not through violent assault, even if such may on occasion be necessary, but by utilizing the best fruits of his mind. Just as one must not expect a lion to suspend the use of his claws or his gaping, fanged jaw, it is ridiculous on its face to expect man to suspend the use of his mind. If it is foolishness to expect a man to suspend the use of his mind, it is equal foolishness to expect that he would abstain from the use of its products. A gun is an instrument, but like any other, it is incapable of thought, and incapable of self-determined action. It is a tool, and as such, having being created and reproduced by the minds of men, to expect men to abstain from using such a simple instrument is in every way as fundamentally bankrupt a notion as demanding a lion forgo the use of his claws. Just as a lion has every natural right to fight for the defense of his existence by all the means with which he is equipped, so too is man entitled by nature to fight for his own defense to the same degree of effort. When a governmental lunatic, or mindless politician approaches you to demand that you lay down the means of your own defense, though you had wronged nobody, and threatened no one, you are right to look at that person as quizzically as the lion would look at the author of a claw-control law. What you are faced with is a person who has suspended reality to the degree that he no longer sees a toothed lion or an armed freeman before him, but instead a potential slave, and one who will subserviently yield the means of his own defense despite the warnings screaming in his brain that no good can come of yielding one’s rights. Like the founders, conservatives respect the Laws of Nature, in part because most hold due reverence for their Author, but more fundamentally because they respect the self-evident truth the universe makes plain all about them. The right to self-defense is plainly a fundamental right that government may not abolish or suspend without consent of all those it governs. Were I the last individual person on the Earth to retain arms, even would the whole of humanity demand I relinquish them, I would maintain my right to them, and I would sustain that right by the ferocity of my defense of it, even if it were to be my last, and I would abolish so much of the attacking throngs as I might be able before I would be overwhelmed. My right to keep and bear arms is non-negotiable, and my right to self-defense is identically sacred. So too is yours. Any person who would yield it is either a fool or a knave, and I say this with all due respect to all the brilliant masterminds who believe otherwise, which is little, or none. We who understand the implications of the founders must endeavor to see the full wisdom of their declaration, for it is our declaration too. They have gifted to us this legacy of superior reasoning, and we must guard not only the document, but the meaning of the words upon it. When dim-witted politicians descend upon every available microphone, and fill the frames of every available camera, all in a display of posturing for the sake of their fraudulent agenda the object of which is to protect themselves while enslaving you. What other reason can there be for their delusion? In what other purpose could their actions be intended? They wish only to urge the lions to de-fang and de-claw themselves. This terrible tragedy must not be permitted to become the next excuse in pursuit of that end. For once, let us see the wisdom of our founders and let the lions defend themselves from the rabid dogs. The fools and knaves who mouth their slogans are accessories to such tragedies before-the-fact, having prohibited honest men and women from their own defense. Our founders knew with the certitude provided by their combined experiences and lifetimes spent in study by candlelight and lantern that man is the possessor of unalienable rights, that are the product of the “Laws of Nature and Nature’s God,” and that none can make a rightful claim to nullify them among the innocent. We, who were born to the electric light-bulb, now banned, and who read by the light even of the devices on which the text is itself imaged should think long and hard before we too easily yield these rights. No other men before them had conceived of a country in which people might be guaranteed the full complement of their natural liberties, and if we let their light be extinguished, we may never see its kind again, instead condemned to languish in perpetual darkness. Yes, we have given up too many “rights” already in the name of civility. Those citizens without the ability to defend themselves are left to the designs of the designers, criminals, con men and enslavers. 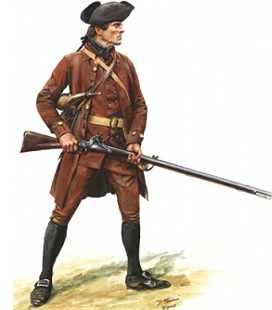 Our Constitutional right to own and possess a firearm is directly related to the atmosphere at the time in which our founding fathers were at war for their liberty and freedoms. It seems this has come full circle again with Government again attempting to regulate and possess our liberties, allowed as such Governments do. The founding fathers in war for their freedoms wrote the strongest Constitution stating our freedoms and rights, stated plainly Government is to be set and directed by the Governed. Our right to defend ourselves, not only for personal defense, but to defend ourselves against a tyrannical government. Our need to abolish and renew our government is also our right. Vote. It is not only our right, but our responsiblity to vote knowlegeably. This takes action. Freedom is not free.. We, The People, have awakened. Alright bd…been watching for the watcher. Probably missed some posts. We still hanging in there. “We must all hang together, or assuredly we shall all hang separately.” And you know Obama had to tell me …I didn’t start that. Truer words are not spoken. Excellent treatise – very well said.